This time last week I felt a conflagration spreading through my veins. 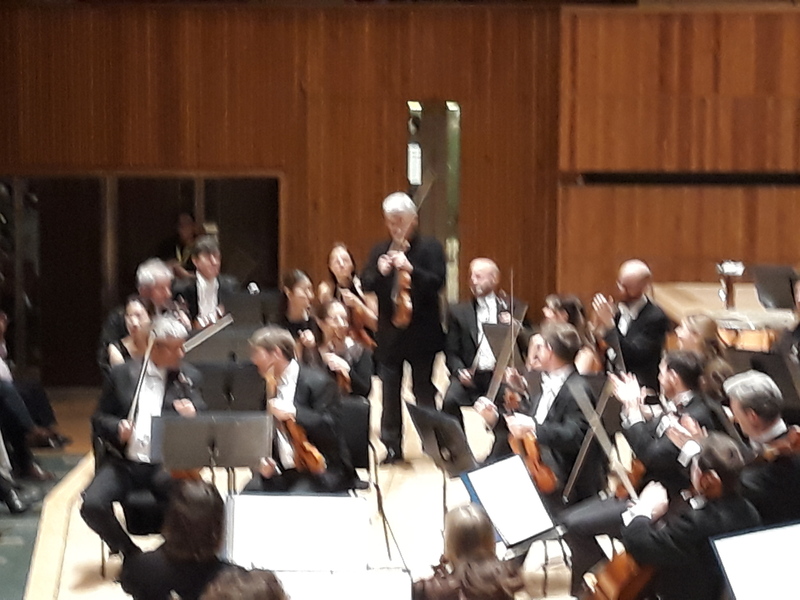 It wasn’t just me that was on fire, it emanated from the orchestra (the Royal Philharmonic) and their illustrious Principal Guest Conductor and virtuoso violinist, Pinchas Zuckerman. I’m sure most of the audience felt it too. Whatever the range of opinions this large gathering of people may have held politically, it certainly felt like we were brought together by our love of music. Even though the seemingly endless turbulence, turmoil and uncertainty caused by Brexit continues to ricochet around our island, infecting and inflaming every corner, I was able to banish my anguish and be present with the creative genius of the composers, thanks to a group of amazing musicians. 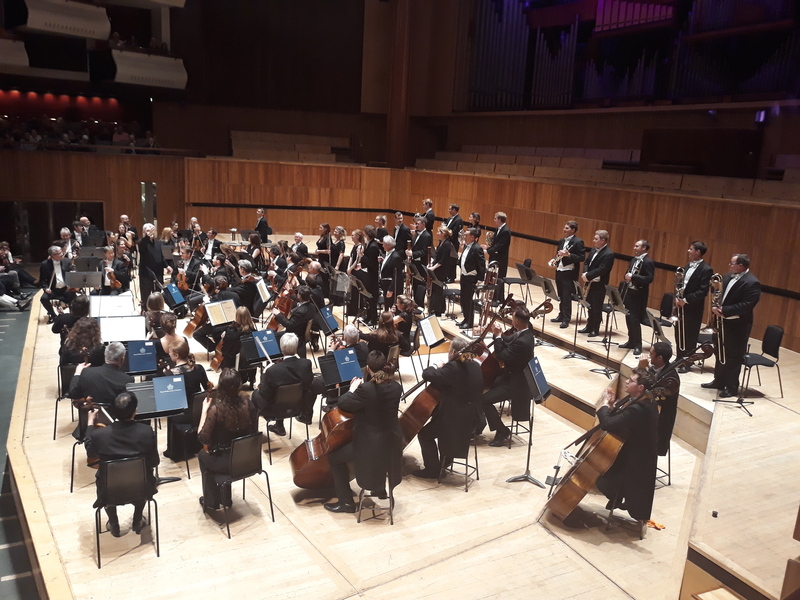 The music they made floated, soared, and at times, boomed into the cavernous auditorium of the Royal Festival Hall, setting alight the air and delighting all who heard it. I could only make out the odd spare seat – the concert hall was pretty much packed to the rafters. It was one of the best concerts I have ever been to; a combination of great seats, a buzzing atmosphere and fabulous music with a programme theme of Symphonic Masters. When musicians come together with a love for music, combined with confidence, experience and solid techniques it creates a magic between them that you cannot replicate in a recording. Live music has that ‘ je ne sais quoi’, an evanescent blessing of unique energy and vibration that moves us. The first piece in the evening’s repertoire was Ralph Vaughan Williams’ Fantasia on a Theme of Thomas Tallis. I absolutely love the dreamy, folk song nature of this composition, and this was the first time I had heard it performed live. In fact, seeing the performance at the same time as hearing it added another dimension to my experience, elevating my understanding and appreciation of it. The layers of sound the violins, cellos, violas and double basses produced was quite exquisite. Keeping true to the composer’s directions, they placed nine of the orchestra’s musicians (four violinists, two cellos, two violas and a double bass) up on the choir bench, behind the main string orchestra. This physical separation meant their parts added a wonderful texture to the piece. They played in a conversation with the main orchestra, as well as the tutti sections where all the musicians performed together. The sound seemed to linger in the firmament, it really enhanced the music and created a ravishing effect. I captured a few photos, but out of respect for the musicians I didn’t take them during the performances. They gave us a wonderful, warm opening, and built up to the crescendos in a subtle and nuanced performance, it was just heavenly. I thought the leader of the orchestra, Duncan Riddell, was superb; his solo sections were sweet and melodic with a pure tone. He demonstrated skillful leadership of the orchestra with considerable panache. Those blissful fifteen minutes of music filled me with a sense of sangfroid, surrounding us all in a kind of mellifluous and ephemeral protective sound barrier, forcing out the stresses of life. Vaughan Williams was fascinated by the music of the Tudor period, and particularly liked Tallis’ Third Mode Melody, which he included as Hymn No. 92 in his edition of the English Hymnal and which formed the basis for his string Fantasia . The theme appears almost at once played pizzicato by the double basses, and is then heard in all the lush resonance of the full string orchestra. By way of contrast, the composer makes use of a smaller orchestra (nine players) within the piece, suggesting that this ensemble be placed somewhere somewhere at a distance from the main orchestra. In addition, there are passages for a string quartet, and at times the orchestration is pared down to a solo viola. The orchestra expanded slightly for the Mozart Violin Concerto No. 5 in A Major, K. 219, nicknamed The Turkish, adding two oboes and two French horns, and the small group that had been placed in the choir section returned to their normal positions. It’s thought that Mozart’s first violin concerto was written in 1773 when Wolfgang was just 17 years old, and there is generally consensus among musicologists that concertos 2, 3, 4 and 5 were all completed in 1775 – when he was still only age 19! The speed at which they were written does not in any way detract from their brilliance. A phenomenal achievement among many from the Austrian wunderkind. The charm, joy and profundity in these last three concertos transcends age. Mozart’s legacy of music proves that divine inspiration flowed in abundance throughout his short but incredible life. Pinchas Zuckerman with his violin ready to play Mozart. I relaxed into the elegant opening movement; the uplifting and lilting melody was expressed perfectly by maestro Zuckerman’s light and playful touch, infused with spectacular virtuosity. 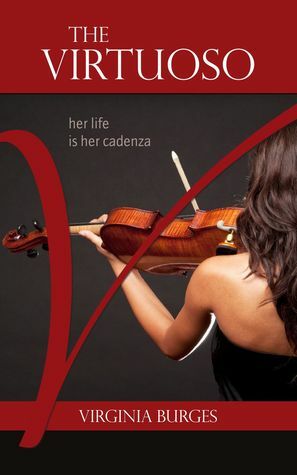 His flourishes and stunning cadenza appeared effortless. 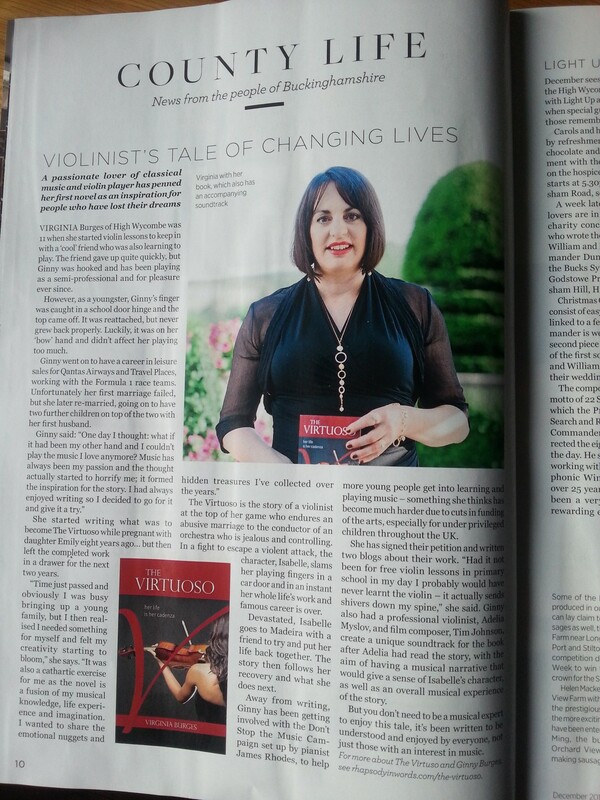 But as an amateur violinist I know they weren’t half as easy as he made it look! I was astounded by his bow control. His technique, intonation and artistry were jaw dropping, but what impressed me the most was the heart and soul Zuckerman demonstrated throughout his performance; a deep understanding, respect and love for the music that was communicated into our hearts. I could imagine the teenage Mozart engrossed in the autograph score, feverishly scribbling the black inky notes with his quill, humming the tune maybe, as the candle light flickered on his immortal creation. I feel blessed to have heard such a master play this beautiful, lyrical piece. The third movement made me want to leap out of my seat and participate in some vigorous air conducting… However, that would have been too distracting for the orchestra and embarrassing for me! The dynamics between the soloist and strings in this rhythmic, ebullient and dance-like tune was magical. Seeing Pinchas Zuckerman conduct in between his solo passages was fun, using his bow instead of a baton, and even when playing he was able to turn or nod and give subtle clues to the orchestra. It speaks to their professionalism that they need such minimal guidance. Zukerman’s 1742 Guarneri ‘del Gesu’ violin had a powerful, colourful tone, it really sang into the air, and seemed more deeply resonant than the leader’s instrument, which also sounded gorgeous. The acoustics were great from our seats in the front of the side stalls. The next best thing to hearing Zuckerman play live with the orchestra is to buy his recording of Ralph Vaughan Williams’ The Lark Ascending and Fantasia on a Theme by Thomas Tallis, alongside some of his Elgar favourites, including the World Premiere Recording of In Moonlight from In the South, with the RPO on the Decca label. The orchestra significantly swelled its ranks for the final symphonic master – Beethoven. His fifth symphony barely needs any introduction, even to those not normally ‘into’ classical music. I wrote a detailed blog a while back (The Secrets of Beethoven’s 5th Symphony), about the political and social influences on Beethoven that shaped the writing of his universally loved, iconic symphony. Getting ready to play Beethoven’s Fifth as the Conductor, Pinchas Zuckerman steps onto the stage. 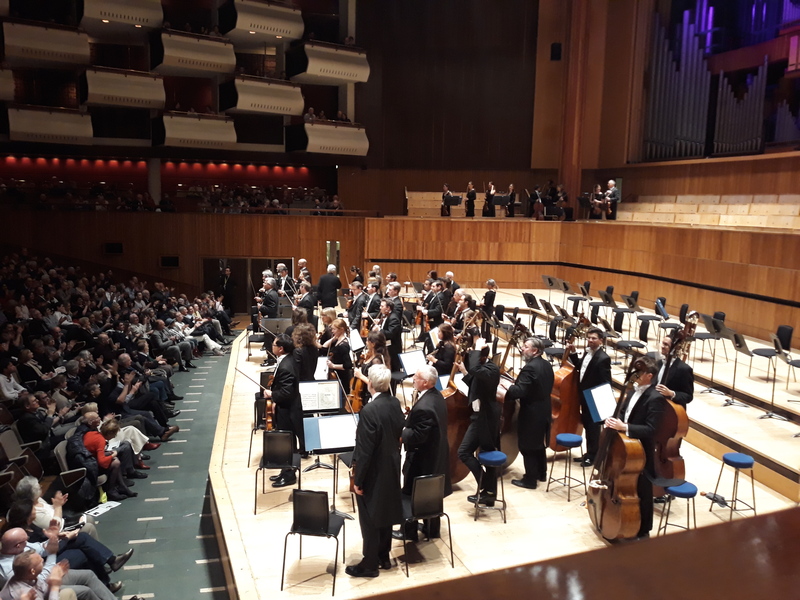 The Royal Philharmonic under the baton of Principal Guest Conductor Pinchas Zuckerman gave an electrifying performance. 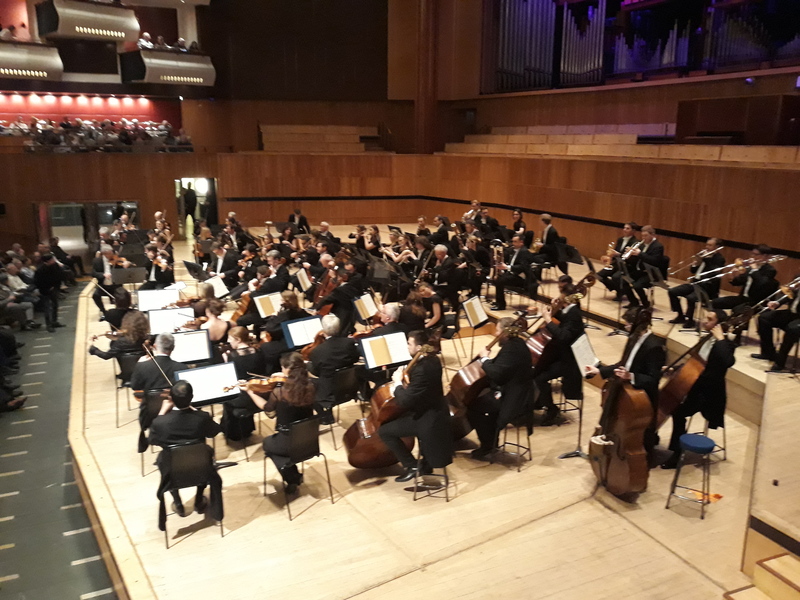 I was astounded by their stamina, (both physical and mental), especially from the strings and conductor/soloist, who had been playing since the start of the concert, whereas the percussion, brass and woodwind section were fresh as daisies. Their performance was powerful from the outset, with those infamous opening bars unsettling any ‘absent’ listeners. It’s not an exaggeration to say that I had goose bumps through the entire symphony! The whole symphony took me on a momentous inner journey. How many of us can relate to Beethoven’s passion? Especially when our backs are against the wall and our outer journey is feeling like the music. No matter how many times I hear it, I’m always filled with awe at Beethoven’s innovation, unbridled talent, courage and originality in drawing on the fathoms of his own emotional well. He broke boundaries and defined new ones. He wore his heart on the staves as much as on his sleeve. It would be remiss of me not to mention the young oboist who was superb in the Mozart and Beethoven performances, his solo parts were particularly worthy of praise. The conductor seemed to single him out in the applause, and rightly so. I also admired Zuckerman’s relaxed and expansive conducting style, the way he opened and closed his arms horizontally as they were building towards the finale, to indicate where he wanted more power or a sustained note. He was equally adept at reigning them in for those more intimate sections. The thing that struck me about their performance of Beethoven’s fifth was their mastery of its startling dynamics: the difference between the soft and quiet passages (Pianissimo, Piano) and the very strong and loud ones (Forte and Fortissimo) and everything in between. 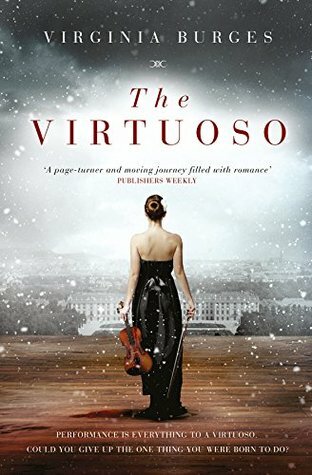 The shimmering crescendos played by the strings in the third movement, known as scrubbing, (achieved by moving the bow very fast up and down on the same note, whilst maintaining the intonation and timing) was stunning. I felt they truly embodied the spirit of all three composers – the Symphonic Masters – to provide an unforgettable evening. For future concerts with the RPO and maestro Zuckerman, plus other conductors at British and International venues, here is the what’s on guide.